The Gran Premio Nuvolari, a regularity rally only open to historic cars built between 1919 and 1972, will be held from 13 to 16 September on a route which starts and ends in Mantua, the birthplace of Tazio Nuvolari. Maserati will be paying tribute to the “Flying Mantuan”, one of the greatest drivers of all time, as the Main Partner of the GP Nuvolari, the rally that bears his name. Throughout the event, Maserati will be exhibiting the 6C-34 from the Umberto Panini Collection in Modena and the Levante GranSport MY19 in the magnificent setting of Piazza Sordello in Mantua. Ernesto Maserati designed the Maserati 6C-34 in response to the new international regulations based on the maximum weight limit of 750 kg. With a 270 HP straight 6 cylinder engine and a top speed of 250 km/h, it went directly from the factory to its racing debut, at the Italian Grand Prix in Monza on 9 September 1934 when Tazio Nuvolari drove it to fifth place overall. Also at the wheel of the 6C-34, “Nivola” had a thrilling end to the season: on 30 September he finished third in Brno and in the following weeks he achieved two particularly impressive victories, with a win on the Modena Circuit on 14 October and again in the Coppa Principessa di Piemonte on the Naples Circuit a week later, on 21 October 1934. 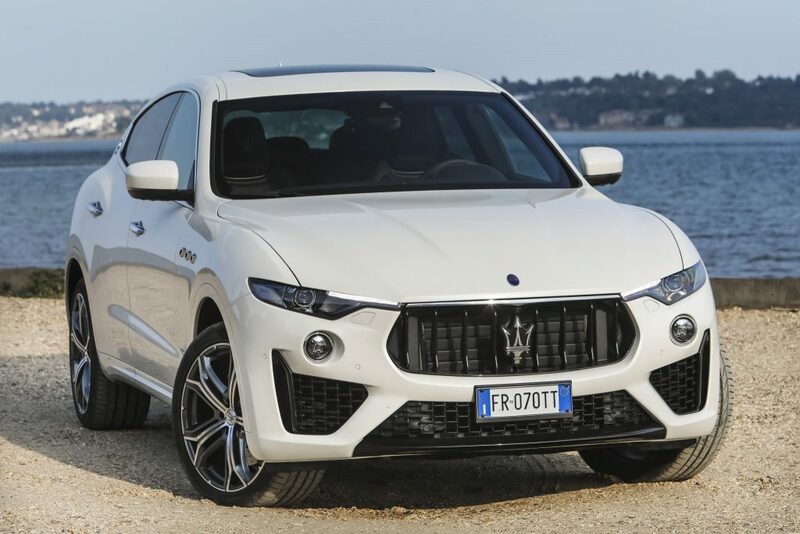 The Maserati Levante, the brand’s first SUV, presented in the MY19 version at the 25th edition of the Festival of Speed held at Goodwood from 12 to 15 July, features a restyling that has combined important technical updates, such as the new, improved short-stroke paddle shifters, the adaptive Full LED Matrix headlights, with the addition of the GranLusso and GranSport trims and the introduction of new contents such as “Pieno Fiore” leather, the new external colours, the new wheels and a wider selection of interior trims. The Maserati cars taking part in the event include: the A6 1500 Berlinetta designed by Pininfarina and built in 1949 – the first Maserati road model, a sports car intended for gentlemen drivers, with a “1500” engine that provided the basis for Maserati racing and road cars of the following years, starting with the A6 GCS; and a Quattroporte built in 1968 – a car that marked a milestone in the history of Maserati, since the first Quattroporte generation, in 1963, created a completely new market segment, that of the luxury sports sedan. Maserati will also be opening the parade of over 300 teams taking part in the GP Nuvolari by organising the Maserati Tribute, a “race within the race”, with the cars in the current range – the Quattroporte flagship, the Ghibli sports sedan and the Levante SUV – lining up on the front row. The 2018 edition of the GP Nuvolari, held this year for the 28th time, offers a new-look route with the first stage from Mantua across the Po Valley and the Apennines to the Adriatic Riviera, the second stage from Rimini through the beautiful landscapes of Tuscany, Umbria and Marche regions and back to Rimini, and the third stage from the Adriatic Sea through the towns and cities of Emilia Romagna to the finishing line in Mantua.